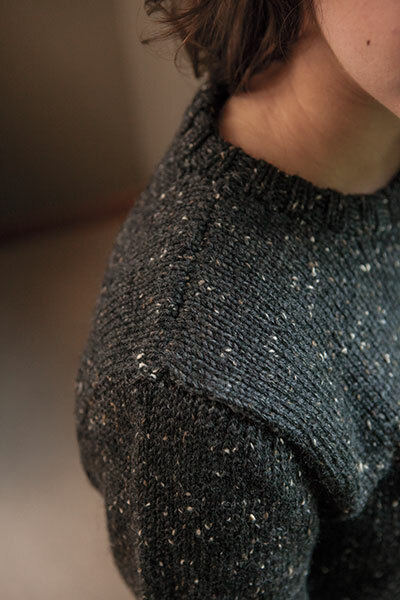 Simple and classic, the Worsted Crewneck is a basic pullover that features ribbed cuffs along with the option for waist shaping or a straight fit. 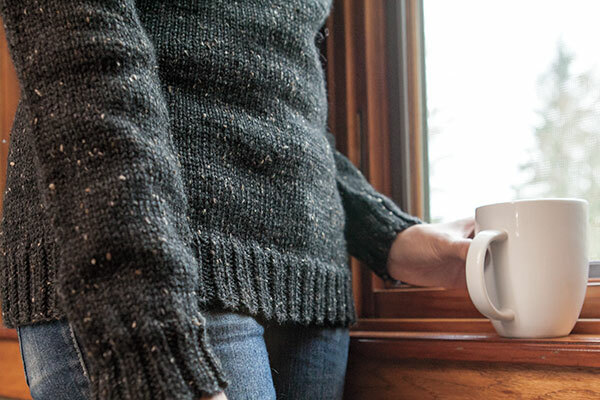 The set-in sleeves begin at the wrists and are increased to the underarm while the body begins with the same ribbing as the cuffs and is worked from the bottom up. The collar is worked as a rolled crewneck and the stockinette body and basic shaping allows you to embellish as you like – keep it simple with your favorite color or add a splash of color into the mix by adding stripes.